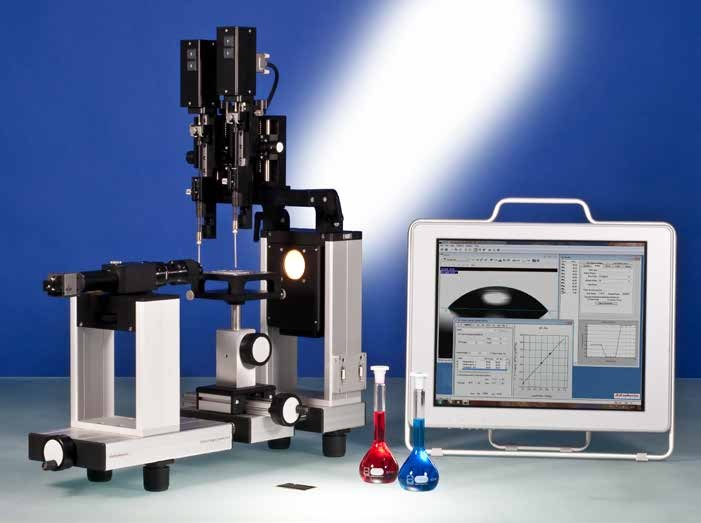 Whether your application demands the evaluation of the surface free energy or of contact angle or drop shape, the video-based optical contact angle measuring system, The Dataphysics OCA 15Pro, may be the instrument of choice. It is designed for applications that can be comfortably addressed with the innovative double direct dosing system DD-DM and two electronic syringe units ES. Please call one of our technical staff members to discuss what would best suit your needs and application.